The HbbTV market is growing rapidly and creates a huge demand for HbbTV applications. But the development of HbbTV applications is costly and time-consuming. It requires special knowledge about HbbTV and the requirements imposed by the TV environment. As a result, few HbbTV applications are created to enhance one-time events, breaking news or individual TV series. The benefit of such applications, for commercial exploitation or for enhancing the viewer's experience, does not justify the long or costly implementation process. 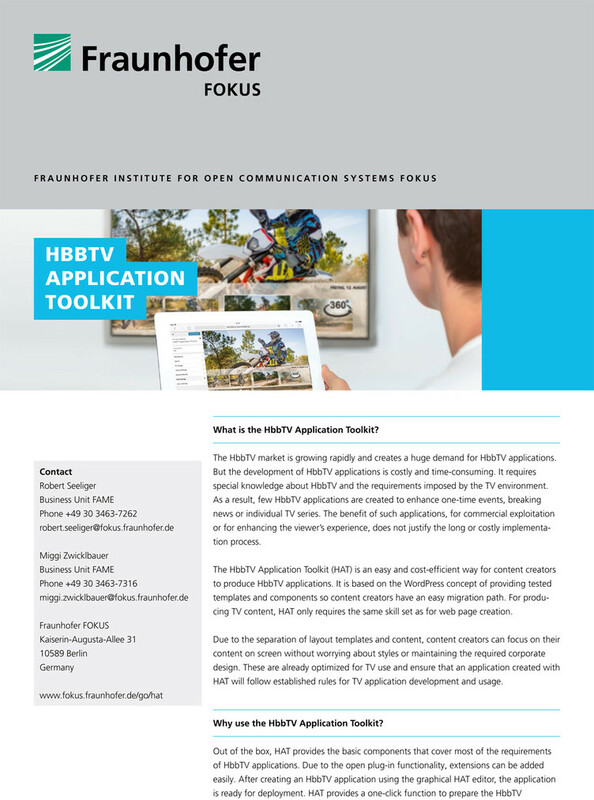 The HbbTV Application Toolkit (HAT) is an easy and cost-efficient way for content creators to produce HbbTV applications. It is based on the WordPress concept of providing tested templates and components so content creators have an easy migration path. For producing TV content, HAT only requires the same skill set as for web page creation. Due to the separation of layout templates and content, content creators can focus on their content on screen without worrying about styles or maintaining the required corporate design. These are already optimized for TV use and ensure that an application created with HAT will follow established rules for TV application development and usage. To stay updated on the latest developments of HAT and news of Fraunhofer FOKUS FAME, please subscribe to our newsletter. Out of the box, HAT provides the basic components that cover most of the requirements of HbbTV applications. Due to the open plug-in functionality, extensions can be added easily. After creating an HbbTV application using the graphical HAT editor, the application is ready for deployment. 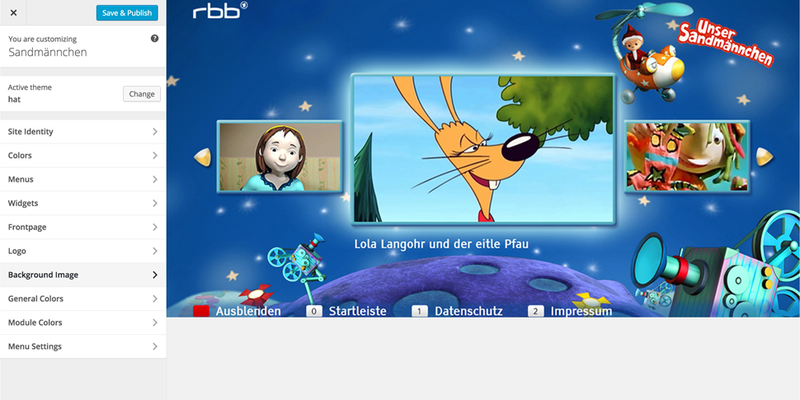 HAT provides a one-click function to prepare the HbbTV. In many cases, content already available on a programme of broadcaster related web CMS can be re-purposed for the TV application. This allows faster and more cost effective creation of HbbTV applications, providing closer relation of the HbbTV offering to the TV programme as well as a closer binding between the 'on TV' and 'on the web' offering by a broadcaster or provider. HAT elements have been tested against a wide range of HbbTV devices to ensure that they will work on any current HbbTV device, regardless of manufacturer, version or content delivery method. Interoperability is provided through continuous tests of HAT components and applications on a variety of HbbTV devices in Fraunhofer FOKUS’ Smart TV Lab environment and also tests performed directly with partners and on external events, such as HbbTV testing events. 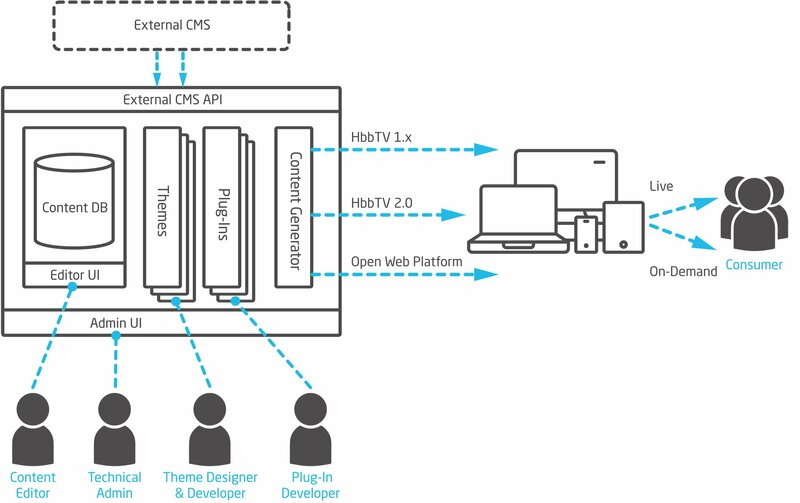 HAT provides customizable templates and plug-ins for content creators to produce HbbTV applications in a cost-efficient way. The TV-tailored templates work on any current HbbTV device and offer picture and video galleries, social media feed display and customizable designs. HAT plug-ins support Companion Screen and Media Synchronization conforming to the HbbTV 2.0 standard, different navigation models, Ad-insertion, Analytics and 360° media player. Furthermore, HAT is easy to integrate with existing HbbTV services of broadcasters.